Baikonur Cosmodrome is located in the Kyzyl-Orda region of Kazakhstan. Creating a spaceport in the 1950s it was determined the need for mining of the first Soviet intercontinental ballistic missile R-7. Its flight range exceeding 8000 km, in connection with which it was necessary hardware new route, passing in an easterly direction nearly across the Asian part of the Soviet Union. It required new districts for the fall of exhaust stages and new measurement points. It needed a new site for launches of these missiles. To address this problem in early 1950s a commission was created, developed requirements for a new landfill, and indicate the preferred areas of the country to create it, including parts of Kalmykia and Dagestan. As a result, chose to accommodate the new test site in Kazakhstan, near the Aral Sea near the railway station Tyr-Tam, Kyzyl-Orda region, Kazakhstan. February 12, 1955 Resolution of the Council of Ministers of the USSR № 292–181 on the construction site. Baikonur covers an area of 6,717 km2 and a length from north to south — 75 km. From west to east — 90 km. The range of azimuths launch vehicles ranges from 35 to 92. The main construction projects have been launching pads of intercontinental ballistic missiles (ICBMs) and technical facilities site. By November 1956 have been completed construction and installation works on most sites and facilities to ensure readiness for the start of flight tests of ICBMs. Were built: the launch facility, launch control center, integration and test building, part of the measuring stations, buildings, computer center, put in place a water pipeline, water pumping stations and power plants. Built roads and railways. The first launch of a two-stage intercontinental ballistic missile «8K71» number «5L» — a prototype of a family of missiles such as R-7 Soyuz held May 15, 1957. The first successful launch of «8K71» № 6 held on 21 August 1957 and 4 October of that year launched from the Baikonur rocket 8K71 «PM» with the first artificial satellite of the Earth «PS-1», and April 12, 1961 was the spacecraft with the first spaceman planet Y. A. Gagarin. In subsequent years, at the site are launch and technical complexes for the preparation and launch of spacecraft using ELV of the light («Cyclone»), and middle («Union», «Lightning," «Zenith»), heavy («Proton») and super-heavy («Energy») classes, as well as providing the infrastructure is developing the landfill. The first launcher Soyuz launch vehicle was put into operation in 1957. Second, similar to her — in 1961. Two rocket launchers «Cyclone-M» was commissioned in 1967godu. The first launcher «Proton» is put into operation in 1965, the second — in 1966 and two more — in 1979. Simultaneously with the creation of «Energia-Buran» at Baikonur ground complex was built for carrier rockets of new generation of middle class «Zenit» able to bring to the reference orbit a payload mass of 15 m. The peculiarity of «Zenith» is the maximum automation of processes to prepare ELV launch. Launch Complex «Zenit» was created Design Bureau of Transport Engineering under the leadership of v. II. Solovyov. For SC injection used refurbished under the ELV «Rokot» and «Dnepr». The first launch of LV «Rokot» was held in 1994, and «Dnepr» — in 2000. From the Baikonur Cosmodrome launch satisfied all manned spacecraft and all the launches of spacecraft (SC) into a geostationary orbit (communications, television, space navigation system GLONASS). This launch site is also used for launching spacecraft into low and medium Earth orbit (meteorological system Meteor, studies Earth’s natural resources, etc. ), as well as for launching unmanned interplanetary stations and commercial launches of spacecraft. A significant contribution the Baikonur cosmodrome in space exploration were launches of carrier rockets Proton with interplanetary probes to the «Luna», «Venera», «Mars» and long-term orbital stations «Salyut» and «Mir». Baikonur Cosmodrome is used to implement the following space programs and projects: «Vostok», «Voskhod," «Salute», «Mir," «Mars» «Venera," «Luna» and «Energia-Buran. The greatest role Cosmodrome played in implementing the project «Mir». In the «Mir» was attended by about 220 organizations and 80 scientific research institutions. On the «Mir» station was visited by 104 people, of which — 62 foreigners, in the field of medicine, biology, engineering and astrophysics, has conducted more than 31,000 experiments conducted: 64 docking with the cargo spacecraft «Progress», 31 — «Soyuz» and as part of NASA’s «Mir» dockings 9' with the American «Shuttle». The station was delivered 170 tons of various cargoes and was retuned to Earth more than 4700 kg with experimental results. According to the program «Energy-Buran» at Baikonur launch facilities have been created to start the launcher «Energia». This allowed 15 May 1987 from the cosmodrome to a successful test launch of a new heavy-duty rocket Energia, and November 15, 1988, this rocket was used for placing into Earth orbit 30-ton shuttle orbiter «Buran» unmanned version. This remarkable experiment was carried out largely due to already existing parameters Baikonur ground test base for implementing this program. Program «Energy-Buran» was preceded by an ambitious lunar program of «H-1» approved in the USSR in 1964. In the period from 1969 to 1972. was conducted four missile launch vehicle «H-1», ended unsuccessfully. In 1976, work on the H-1 were completely discontinued. Created under this program unique ground complex was preserved, but in the late 70’s, work began on its reconstruction and the creation of new ground objects under complex «Energia-Buran». The result is the launch facility and an integrated universal stand-start. To ensure the landing the orbiter at Baikonur, a special boarding complex. Since the early 1990s work on the program «Energy-Buran» at Baikonur were discontinued, the objects preserved, and some of them were then used by other programs. Contribution to the Baikonur cosmodrome in the implementation of national space programs estimated the number of satellites launched by each program. Thus, program monitoring from space and remote sensing held launches about 95% of the spacecraft under the program coordinate and time support — more than 70% of the spacecraft, program communications and television — 25% of the spacecraft under the program of meteorological service — more than 40% SC, program of research — more than 30% of the spacecraft on manned program — 100% SC. Baikonur Cosmodrome is used in international programs, in which Russia participates. Plans for cooperation with the international community to create and use the InteELVational Space Station designed specifically to Baikonur cosmodrome. After the collapse of the Soviet Union Cosmodrome became the property of the Republic of Kazakhstan and was leased by the Russian Federation. In 1990, the landfill «Baikonur» has been renamed Baikonur Cosmodrome. Simultaneously with the development of the landfill expanded and founded in May 1955, a residential complex, which over the years has changed several names, and in 1995 was renamed the city of Baikonur. Infrastructure of the city of Baikonur includes more than 300 homes, 6 urban hotels, hospital, city hospital, etc. The city has a number of educational institutions: more than 10 schools, a branch of MAI, a technical communications, medical school and other social objects. As is known, in order to study and use of space in the period from 1957 to the present time the world was conducted over 4000 launch vehicles (LV). Of these, more than 2500 launches conducted from the Baikonur in Russia. However, traffic in the first place is the Baikonur Cosmodrome. With this launch site annually flown about 80% of the payload of its total number that appears with all the launch sites in Russia. Since 1995, the number of Rocket leading position among Russian space centers began to assume the Baikonur Cosmodrome. During this period, with its launch complexes was carried out over 60% of RCN launches of the total amount spent by Russia. Currently, the vast majority of leased Baikonur cosmodrome passed into the possession of the Federal Space Agency (2 starter set ELV «Soyuz», ELV «Zenith», ELV «Cyclone-M», and UKSS «Energy», two starting complex ELV «Proton», all assembly and test facility with the technical complexes, manufacturing equipment and life support systems, all of NMS, the oxygen-nitrogen plant, storage CRT, gas turbine power plant, etc.). In 2004, the Presidents of Kazakhstan, N. A. Nazarbayev and Russian v. V. Putin gave the start for the project creation at the Baikonur Cosmodrome space rocket complex «Baiterek». At the site decommissioned pad spaceport building a new launch system with a universal launch pad, which enables one launcher to start the entire family of launch vehicles, Angara. Currently Kazkosmos with Roskosmos work on coordination of joint decisions on the establishment of the SLC Baiterek based sites 250, 250A (UKSS) the Baikonur cosmodrome. 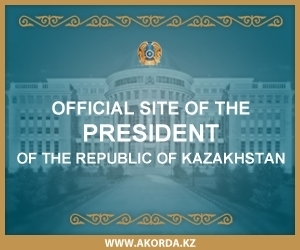 This would include the issue of withdrawal from the leased facilities of the Russian Federation the Baikonur cosmodrome (UKSS) these areas in accordance with the lease the Baikonur complex between the Government of the Republic of Kazakhstan and the Russian Federation of December 10, 1994. In general, as the activation of Kazakhstan’s space activities within the national space program is expanding and the interaction of the two friendly countries in the use of the Baikonur cosmodrome in the mutual interests.